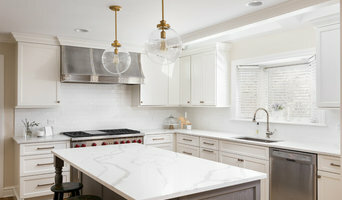 Chicago's West Suburbs Build & Remodeling Specialist Best of Houzz 3x! Specializing in new construction and home remodeling. We take pride in building a quality home for our clients no matter what the budget. We have been offering homeowners the ultimate home-building service for more than 30 years. We have the advanced expertise to create a custom home that embraces your unique lifestyle. Our mission is to build you a truly custom home, while offering the best quality possible within your price range. Our accessibility & the high quality craftsmanship are hallmarks of our tradition. For over 20 years, homeowners have chosen SeBern because we design, custom build and remodel to meet their wants, needs and desires. 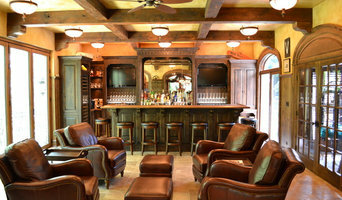 Since 1994, Didier Custom Homes has been building Award-winning luxury custom homes in the Chicago area. Each home we build is unique and reflects our customer's distinct personality and lifestyle. We enjoy understanding our clients needs, vision, and lifestyle. We combine that with our love and a passion for good design so we can create a space your family can happily come home to each day. Mondo Builders is one of Chicago's finest custom luxury home builders. Our exceptional knowledge and dedication to quality defines our custom homes. At Mondo Builders no two projects are the same. We pride ourselves on our attention to detail while keeping quality construction and cost management paramount. Call Steve today to discuss your new home project 630-215-7000. From breaking ground to the finished interior trim, we are committed to providing the highest quality home for each family. No stock floor plans! All of our homes are custom. Martire Custom Homes, Incorporated (MCH) is a premier design and building development company, specializing in new home construction, remodeling, additions and interior design consultation. MCH’s touchstone includes delivering an ageless product devoted to impeccable craftsmanship while incorporating exquisite details in every facet of your project. We offer the commitment and individualized attention only a small company can provide. Through creative collaboration, we deliver excellent results by reliably applying our principles for success. What’s the most important step in building a new house from the ground up? Many people would say it’s choosing the right Villa Park home builder. Constructing a new house is a huge and multifaceted undertaking, so it’s important to find custom home builders in Villa Park, IL you can trust to bring your vision to life, as well as keep the process under control from start to finish. Although a construction job is never without surprises and challenges, a Villa Park, IL home builder who’s a good fit for your specific project will make these far easier to handle. For Villa Park residential home builders who also act as developers, the job starts well before the first nail is driven. They perform local market research to determine whether the prospective homesites make sense in the Villa Park, IL market, as well as survey the land on which the house will be built to make sure it is suitable for construction. Custom builders also obtain the necessary permits. 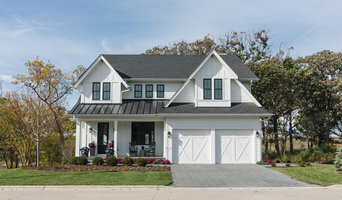 A good custom home builder in Villa Park, IL has skills that go far beyond construction — he or she must supervise subcontractors and artisans; keep tabs on local zoning regulations, building codes and other legalities; inspect work for problems along the way; and perform dozens of other roles that are essential in building a quality house. Here are some related professionals and vendors to complement the work of home builders: Interior Designers & Decorators, Landscape Architects & Landscape Designers, Architects & Building Designers, Kitchen & Bath Designers, Specialty Contractors. House builders are responsible for ensuring that the home-building project sticks as closely as possible to the specified timetable, particularly in the event of change orders. 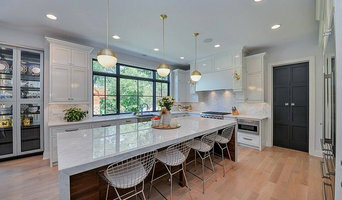 Custom and luxury home builders in Villa Park, IL also need interpersonal skills to deal with clients of all types, soothe frazzled nerves, negotiate conflicts and resolve problems. Find custom home builders in Villa Park, IL on Houzz. Narrow your search in the Professionals section of the website to Villa Park, IL home builders. You can also look through Villa Park, IL photos to find a house you like, then contact the builder who worked on it.